Rediscover the magic of cooking on real fire. 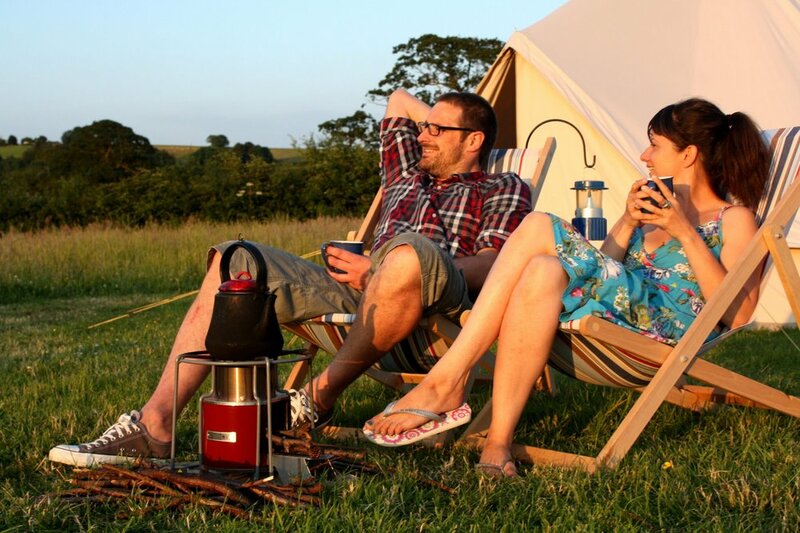 Easy and quick to light, powered by a handful of sticks, this stove gives you all the joy of real fire with the convenience of a modern stove.If you're looking for a cooker to take camping, on picnics, to the beach or to cook on and BBQ in your back-garden, look no further. 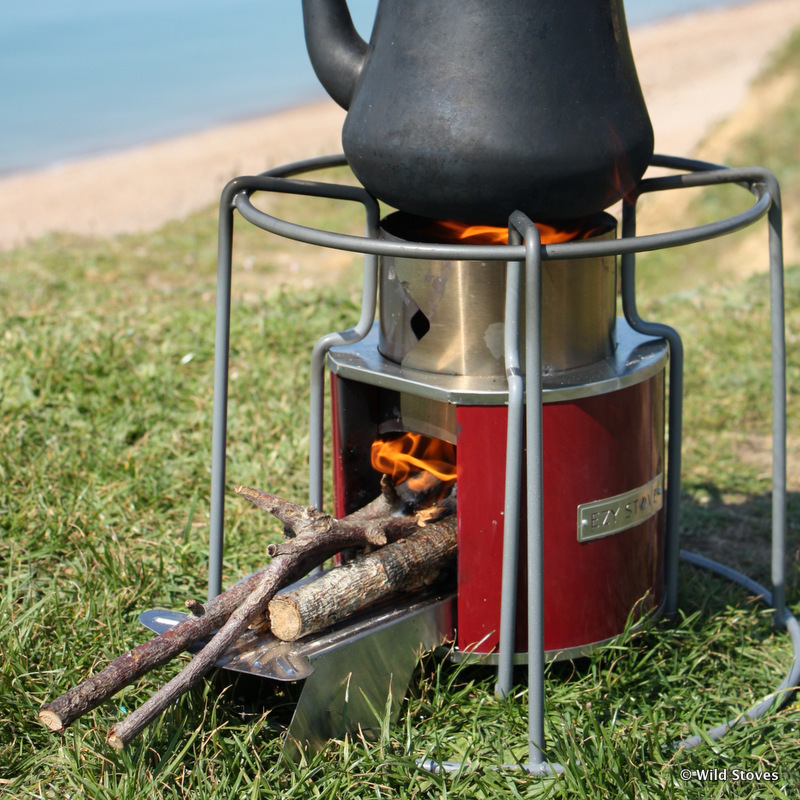 Set it down anywhere, send the kids off to collect some sticks, light it up and within a minute you are cooking over an intense heat on the sturdy pot support. The stove kicks out over 2Kw of heat and is 3 times more efficient than an open fire, producing a fraction of the smoky emissions and able to cook a large meal with a handful of twigs. The heat is also adjustable from simmer to intense, by adjusting the fuel supply. How does it work? It's simple. You light a small fire inside the combustion chamber, then insert some sticks (the dryer the better) horizontally into the stove. Within a minute or two the stove is ready for cooking. As the fuel burns, you nudge the sticks in, according to the intensity of heat required. The stove is a 'rocket stove' design, meaning it uses a clever mix of insulation and air venting to ensure a clean, intense burn. Primary air is drawn in under the fuel, and secondary air (to burn off the smoke) is drawn in over the fuel. The double-walled stainless steel combustion chamber provides just the right environment for combustion. The stove literally boils smoke out of the wood, then burns it!